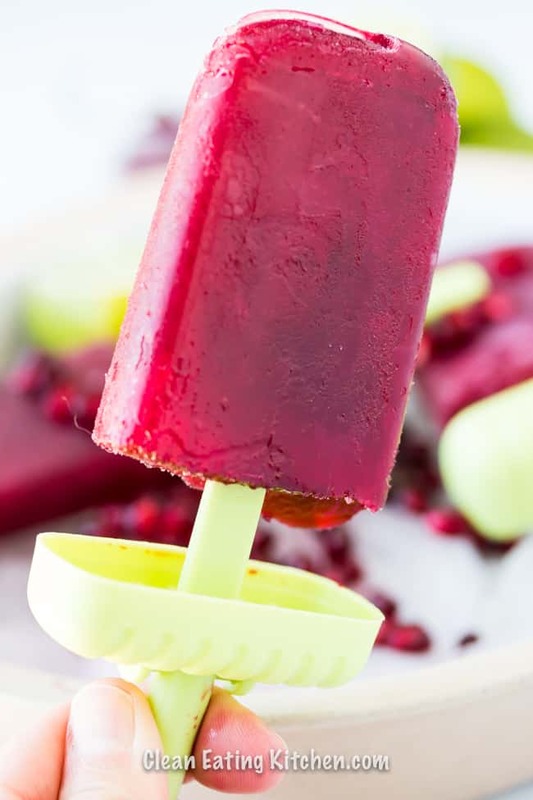 What could be better on a hot day than an icy-cold pomegranate popsicle made with 100% juice for a healthy, superfood treat with no added sugar? While it might not be exactly hot here in California yet (sometimes we have to wait until September or even as late in the year as November or December to get truly hot days), I’m 100% on board with enjoying summery treats like popsicles. I bought a few new sets of popsicles molds recently, and so expect so see more frozen healthy treats around here, always dairy-free, paleo- and vegan-friendly! I looked specifically for BPA-free molds and found this set on Amazon. They made this recipe so easy and fun. Unlike homemade ice creams that often need to be churned before freezing, popsicles really just need to be poured into the molds and frozen for about an hour. If you’re wondering if you really need a mold for popsicles, you don’t! You could always go with the “Dixie-cup and wooden stick technique” if you don’t have a mold like I used. 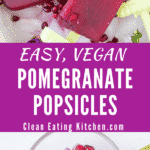 And, this popsicle recipe couldn’t be easier because I used this bottled pomegranate juice and a squeeze of lime juice. Two ingredients: that’s it!!! 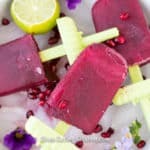 The pomegranate seeds (also called arils) are just for decoration in my photos, but they could be added to the juice to add texture to the popsicles. I prefer just the juice for this recipe, otherwise I have flashbacks to those jello cups from my childhood that had fruit suspended in the middle. (Who else hated that texture)? You’ll need about 1 1/2 to 2 cups of pomegranate juice for this recipe, depending on how big your molds are. Also, I wanted to share this awesome research article that discusses how pomegranate juice could be beneficial for chronic inflammatory diseases. Woot! 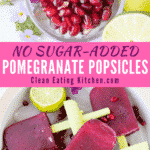 Items recommended for this Pomegranate Popsicle recipe (I like to call them Pom Pops)! 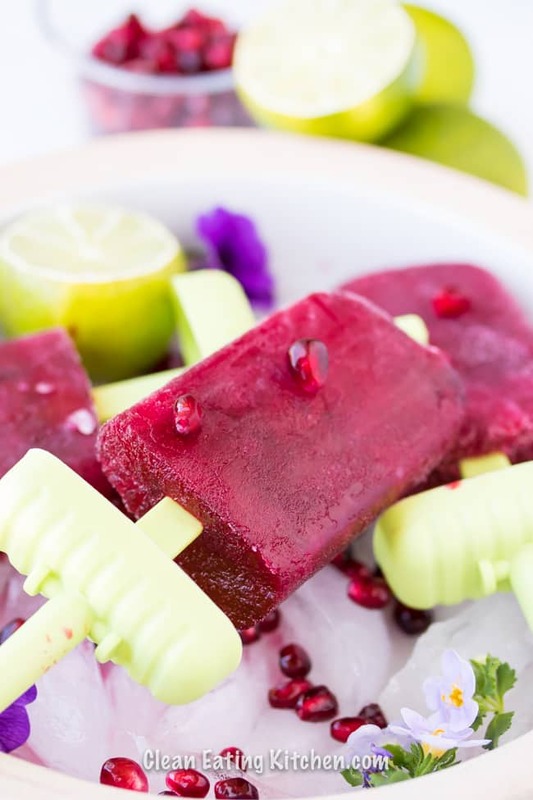 What could be better on a hot day than an icy-cold pomegranate popsicle made with 100% juice for a healthy, superfood treat with no added sugar? Dairy-free, vegan & paleo! 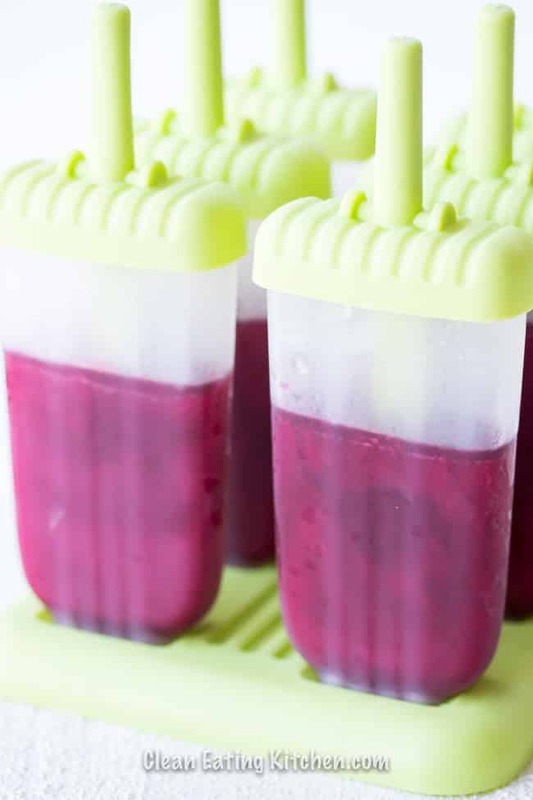 Divide the pomegranate juice evenly into approximately six popsicles molds. Squeeze or pour the lime juice evenly into the molds and freeze them for at least 1 hour before serving. These popsicles will stay fresh in the freezer for up to 2-3 weeks. Let them warm up for about 5 minutes before serving from frozen (for easier removal from the molds). 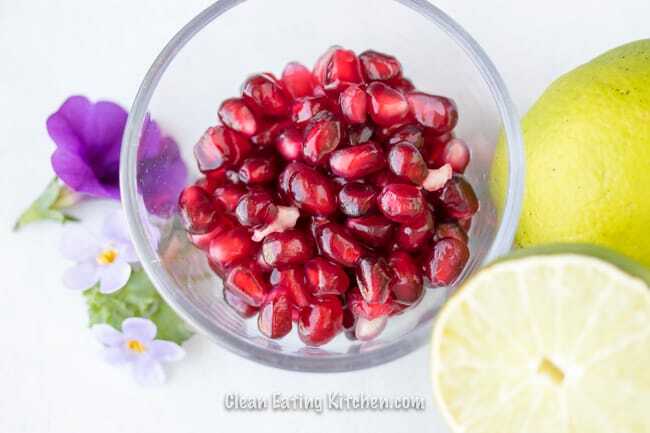 SO easy and pomegranate is a superfood! What a great healthy afternoon summer treat for the kiddos (and adults) I bet they wouldn’t even know the health benefits behind them. Getting all their fruit servings in at once. LOVE THESE! 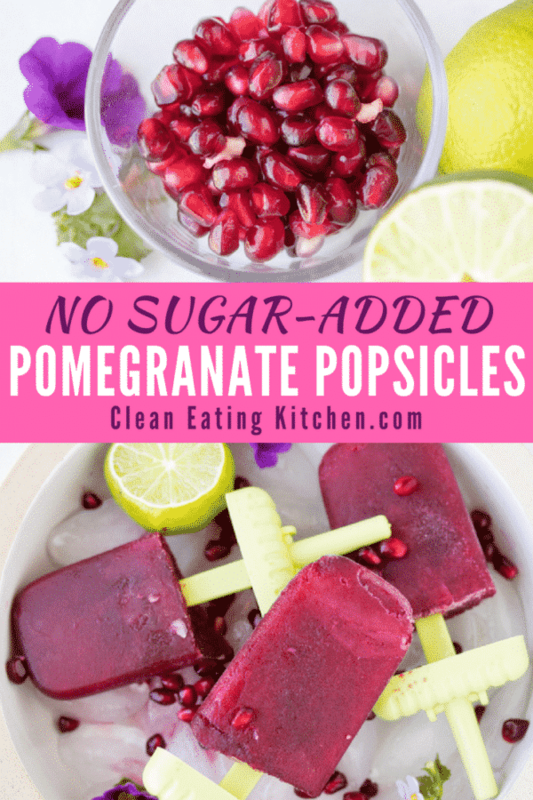 Pomegranate and popsicles are both standards in our kitchen but I never thought about combining the two of them for such a fun-tasting treat; can’t wait to try this with the kiddos! Best for summers and best for the holiday season with kids too. They to enjoy every bite of it. I am loving it. Pomegranate is one of my favorite flavors. I love popsicles and these look so flavorful and refreshing! Yum! 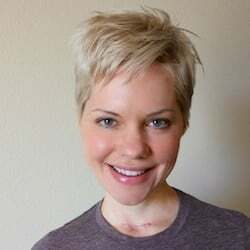 I’m so looking forward to the warmer weather! I’ve really missed making ice pops and this is a perfectly refreshing treat to sit out with. Sounds great!